Summer calls for spending time outdoors and soaking up the sun at beaches, lakes and parks. 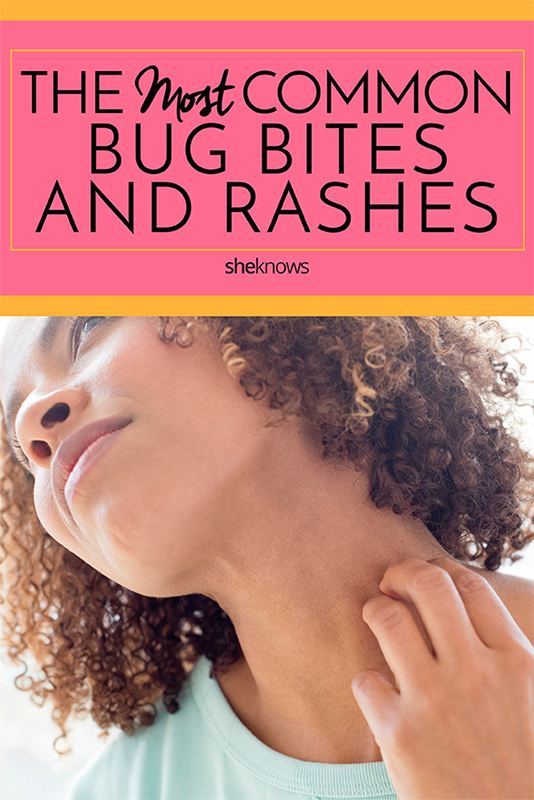 It’s also the time of year when bugs come out to play, so bug bites and itchy rashes are more common than usual — unless you know how to stop them in their tracks. Here’s how to prevent bug bites and rashes and treat them quickly if they do occur. Just like beach days and ice cream, bug bites and summer are the perfect match. Bugs thrive in warm weather and humidity, so they’re naturally more active in summer. Dr. Ryan Harvey, clinical director of House Call Doctor, says summer rain also encourages insects to breed, leading to population explosions. The more critters that are out, the higher the chance of getting bitten. The same goes for rashes — many rashes (such as heat rash and swimmer’s itch) are associated with summery activities, while others develop as a result of bug bites. He suggests installing insect screens to stop bugs from entering your home, especially in tropical areas, and maintaining your garden and lawn. Also, he advises emptying containers that are pooling water, as those are excellent breeding grounds. Dr. Nava Greenfield of Schweiger Dermatology Group says insect repellent is effective and safe to use. “Deet is a controversial ingredient, but I find it is the only repellent that really works,” she tells SheKnows. Rashes are more diverse, but our experts’ advice is simple: Be careful, and be conscious of your surroundings. To combat inflammatory rashes like heat rash and photosensitivity, protect your skin by wearing long-sleeve yet lightweight clothing and choose shade over the harsh sun. For plant stings and swimmer’s itch, take some time to research the natural environments you’re planning to explore (like bushlands and beaches) for advice. As for fungal infections like athlete’s foot, Greenfield says it’s important to keep your feet cool and dry and to avoid direct contact with “warm and moist environments where fungus likes to grow and thrive” with your feet, such as gyms, saunas and locker rooms. In other words, wear shoes when you can. So, you’ve been bitten — now what? In most cases, bites heal on their own with a little help from topical steroids and pain-relieving medications. If something looks or feels out of the ordinary, Greenfield says to consult a doctor or dermatologist. “If the bite looks larger, more swollen or more painful than usual, it’s best to have it evaluated by a dermatologist,” she tells SheKnows. “Sometimes, stingers need to be removed from the skin, so if a bite is feeling very irritated or painful, have it evaluated,” she says. Bee/wasp stings. A bee leaves its stinger embedded in the skin, so it’s crucial to remove the stinger “and hence the venom from your skin.” Harvey says most bee and wasp stings can be treated with cool compresses, pain relievers and antihistamines. Fire ant bites. After moving away from the nest, Harvey suggests seeking pain relief such as Paracetamol or ibuprofen and seeing a doctor for a stronger prescription if the pain doesn’t subside. Chigger bites. Treat the irritation and inflammation with steroid-based creams. “The best way to treat any rash is to have it evaluated by a dermatologist. That way, it can be properly diagnosed and treated,” advises Greenfield. She explains that while most rashes go away on their own, such as heat rash, others, like athlete’s foot and poison ivy, don’t. Poison ivy/oak. Remove the sting and apply a topical steroid to reduce inflammation. Pain relief may be required, adds Harvey. Athlete’s foot. Dry your feet properly and apply an antifungal cream or ointment directly to the rash, Harvey says. Heat rash. Cool down by moving to the shade, drinking water and icing the area. Sun allergies/photosensitivity. Treat this the same as heat rash. If the area is very itchy, Greenfield advises using topical steroids and antihistamines. Swimmer’s itch. Remove yourself from the freshwater lake/river/ocean and rinse the parasites off your skin. The rash should then resolve on its own, but you can use anti-itch creams and oral antihistamines. “Don’t wait! If you’re uncomfortable, go see a doctor!” advises Greenfield.